Hewlett-Packard wants to make wireless printing of documents from Android mobile devices as easy as tapping one button. The company on Tuesday announced a new wireless laser printer -- the HP Color LaserJet Pro MFP M476 -- which takes advantage of native printing support on mobile devices running the Android 4.4 operating system, code-named KitKat. The office printer, priced starting at US$529, is the first printer certified to take advantage of a plug-in developed by the Mopria alliance, which aims to makes wireless printing easier from smartphones and tablets with Android 4.4, said David Laing, director of innovation for LaserJet Enterprise Solutions at HP. With the Mopria plugin, users can pass a mobile print command to the M476 without having to go through a separate application such as HP's printer app. Users will be able to punch the print icon inside an app, much like on PCs, and then select a wireless printer of choice. 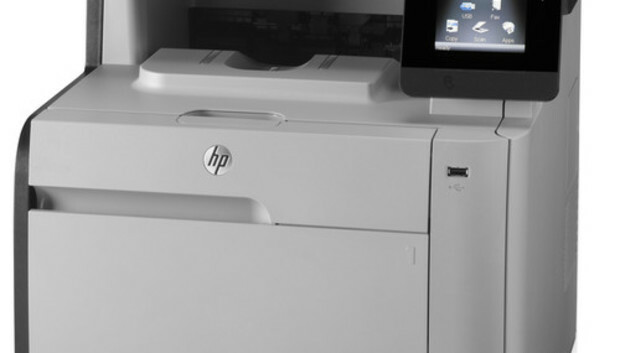 The HP Color LaserJet Pro MFP M476 will be able to print over peer-to-peer Wi-Fi or near-field communication (NFC) connections. Previously, access to a wireless network was needed to print documents on a wireless printer, Laing said. The new printer has a 3.5-inch display, and can also copy, scan and fax. The product, which is targeted at small offices, also has two-side printing and scanning, and can be managed remotely. The M476 also prints directly from files in online storage services such as Box.net and Google Drive. The installed black, cyan, magenta and yellow cartridges can yield roughly 1,200 printed pages each. The printer succeeds the previous M475 model, which was more expensive, Laing said.